They’re moving up in the working world and starting families. They’re also the most likely demographic to use a real estate agent when purchasing a home. Millennials are expected to make up 33 percent of homebuyers in 2017 and they’re making Boston one of the most popular places in the country to settle down. A LendingTree survey of 500,000 mortgage requests and bids on houses from applicants age 35 and under determined that Millennials compose 46% of Boston’s housing market. 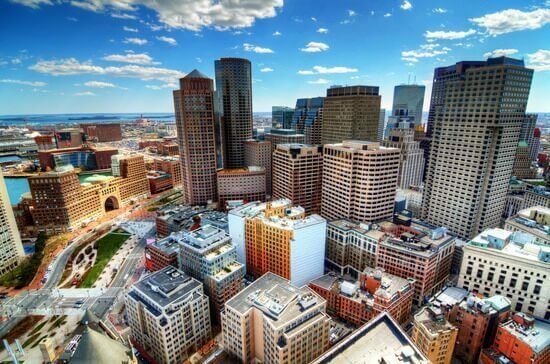 This placed Boston as the fourth most popular metropolitan destination in the country for Gen Y. Within the Millennial demographic, the average down payment on a home in Boston was $88,876 with an average mortgage of $410,504. It’s widely touted that young, working adults prefer to move out to the suburbs and more rural areas, but the truth is that Millennials are much more likely to become city-dwellers. The City Observatory offers intriguing data that the “relative preference” of Millennials to live in urban settings in 2010 was 51 percent, compared to just 10 percent in 1980. The influx of Millennial homeowners to the greater Boston area is promising as this group is critical to any market. When younger people buy starter homes, it allows current homeowners to upgrade into something bigger. While the available housing supply in Boston and throughout the country is low, Baby Boomers will be looking to sell their homes in order to downsize into apartments and condos. This demographic shift is expected to give Gen Y more housing options down the road. A robust economy, close proximity to eateries and entertainment venues and easy commutes made possible by the city’s public transportation system all help to attract Gen Y to Beantown. Although interest rates remain low, there is speculation that the Federal Reserve could raise interest rates multiple times in 2017, giving Millennials extra motivation to secure their first home now.